Have you found an online vendor selling Foursquare Spiced? This is a tasty all-around rum, great for a rum & coke. I gave it an extra point because there are NO sugars added after distillation, which is a plus for someone on a low carb diet. I started by pouring it neat. It's light in color, like an aged gold rum. The bouquet is very light with hints of vanilla and spice cake. The first sip hits you mid-tongue, and fills the back with a peppery flavor and just a little burn. It leaves behind just a little warmth and just a hint of spice cake. In the end, this is a nice gold rum with hints of spice. It's great with cola, and without the sugar it will be my go-to for a Rum & Diet Coke. I was disappointed with this. It's pretty uninspiring and, well....rough.... in fact I'd go as far as to say that is does taste a bit like petrol might - yuk. So sharp and harsh it makes you shudder. 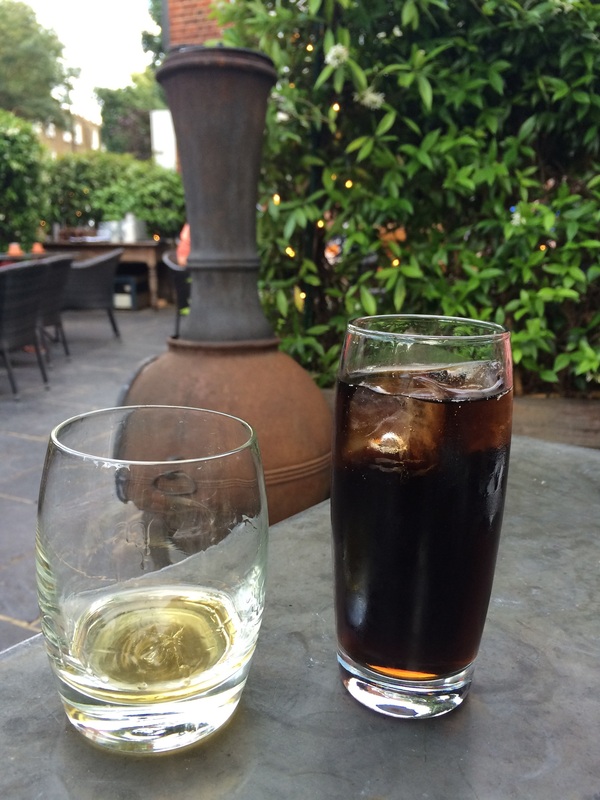 As a spiced rum, it's dull; as a rum it's harsh, sharp and tastes foul. It has the traditional spice taste but not in any persuasive or inspiring way. The spices are neither subtle not strong, but kind of wishy-washy. I found nothing special in it at all, and think that the others I have tried - Red Leg, Chairman's Reserve, Rebellion and Dark Matter - are all way more interesting. Frankly I found it undrinkable neat. You'd think that it would work as a mixer....but I still found it awful then. The first rum I have not been able to finish a glass of neat. I like this rum a lot. I normally do not drink spiced or flavored rums except for a few occasions when I want a change from the ordinary. This rum has a nice aroma and sweetness brought out by the warm baking spices, vanilla, toffee and some dried fruit notes. I enjoy this neat as you would. I guess you could mix it with coke but I feel the sweetness would be overwhelming. Excellent rum! Very good flavour, a nice level of spice, and very smooth. Easy to drink neat and enjoy the taste. I only bought a small 25cl sampl bottle, so I definitely need to buy a full bottle soon. Hard to rate correctly after such a small taste, but I'm gonna go with an 8 for now until I try more. Skořici mám rád, používám ji docela často, a i když to s ní přeženu, tak je mi stále příjemná. Tedy to platilo dříve. Moje nová zkušenost změnila i můj pohled. Ve vůni Foursquare Spiced jsem cítil obrovské přearomatizování, které působilo velmi podbízivým až levným dojmem. Kvůli tomu, že rum zpočátku pracoval, se mísily různé kořeněné vůně výrazných tónů, které ale působily přehnaně silně a hlavně chaoticky. Cítil jsem takový tlak na pilu, až to nebylo vůbec příjemné. I silná směs bylin v čaji by konkurovala jen stěží. Po patnáctiminutovce se vše ustálilo a guláš se změnil konečně v něco hmatatelného. To něco byla skořice, ale jako by překročila stonásobně svoji obvyklou vůni i intenzitu. V chuti jsem bohužel zacítil více jakoby oddělených složek a mazlavost. Naštěstí alespoň beze stop čisté lihovosti. Cítím snahu, ale hodnotím výsledek. Abych udržel objektivnost hodnocení, které jsem nastavil, nemohu překročit 5/10. Not over-spiced or sugared. It is a fine subtle spiced rum for most mixed drinks. This rum has quite a bit of spice to it. Smells and tastes of sweet vanilla, cinnamon, nutmeg, pepper, and honey. Not bad at all for a spiced rum, and an incredible value at only $13.99 (Total Wine & More, 2016). I read many of the descriptions of Foursquare Spiced and decided to try it with some coke. As usual I order them separately to taste the rum straight prior to mixing. For the first time in my life I simply sipped on a spiced rum straight... It's that good! It's hard to believe, but then even better in Coke, likely the best rum I've mixed with Coke ever! Lots of Carmel and vanilla in the nose, but not overwhelming and slightly mild. The taste is mild as well and sweet, no overpowering notes - similar in fact to Zaya. The finish is medium and seems to get better over time. 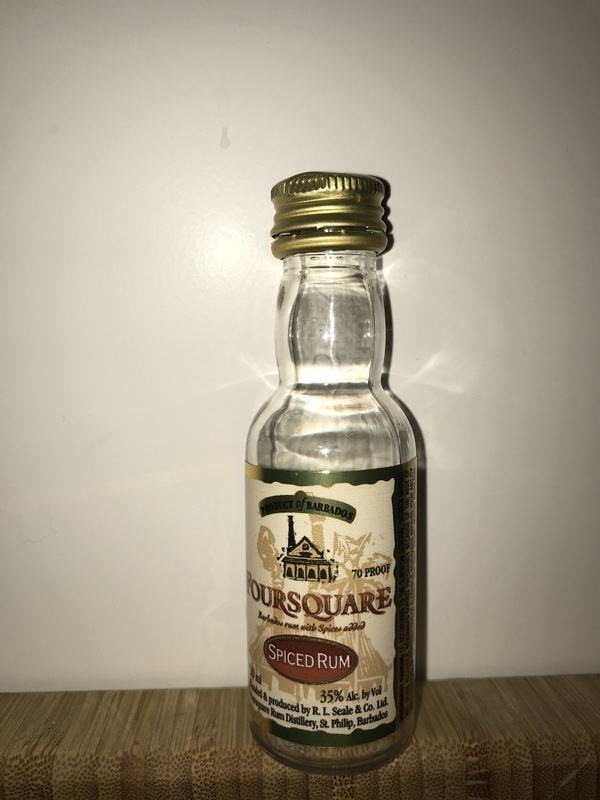 While it might lack some complexity of aged rums, this Foursquare Spiced is unbelievable for a spiced and likely minimal aged rum. Great value, strong buy recommendation. I don't drink a lot of spiced rum. The main reason I bought this was because R.L Seale's name was on the label, and his rums are almost always excellent. It's pretty tame straight up, fairly understated. Easy to drink, not at all offensive, but lacking something. Maybe more spice? As others have pointed out, there's a couple of other spiced rums that match this as a sipping rum, but in my opinion nothing that matches it as a mixer. The vanilla is very, making it at but not sugary. The rum base is excellent, and the flavor is lovely but not so overwhelming it launches itself at you. And considering how good it is, it's surprisingly affordable. So you can burn through a whole bottle or two at a party (and you will, once people try it) without feeling hurt. Fantastic with coke, ginger beer, or a good root beer (try A&W) . Another quality product from Richard Seales, unfortunately only available if you happen to live in a state where Total Wine sells liquor. This is our favorite spiced rum. We visited the distillery in Barbados on our last trip there and could not get enough of this. Good thing the Total Wine in Cherry Hill, NJ carries this. Certainly in my top 3 spiced rums alongside Chairmans and Element 8 but id say it's the sweetest and has the most vanilla. Try making a spiced Mojito with just a splash of pressed apple juice for a summer cooler. Strong caramel flavour. Reminds me of biscoff, which is weird considering the lack of sweet finishing notes. Quite enjoyable if paired with a mixer. Od tohoto rumu jsem nic necekal, ale jako fanousek Foursquare jsem citil povinnost ho ochutnat. Koreni je v celku vyrazne, ve vuni skorice a hrebicky. V chuti se k nim pridava i lehce stiplavy badian. Prekvapila me absence alkoholovehou stipnuti, coz dela rum trochu "plochy". Kazdopadne do chladneho vanocniho casu se rum hodi vyborne a muzu doporucit. This rum has a great complexity and depth of flavor, it only didn’t get a 10 because of its sweetness. It’s warm, with a soothing caramel. It would make it on to my desert island rums. Its good one. High qualitative product from foursquare. But it’s tottaly “empty”. No individuality. If we look on the price, I’ll can give 8. But I always give characteristics for Rum no matter what price it was. And if you won’t you don’t need to mix it. This Rum is smooth enough. And plus for me - this Rum looks like is no sugar added. Nothing wrong with this but i dont really get any spices. Smell of raisins & stewed brandy with slight tones of cloves. The taste is lovely and light to start with spice and peppers building. My favourite spiced rum, great smoothness and spices aromas! Perfect for mixing cocktails!